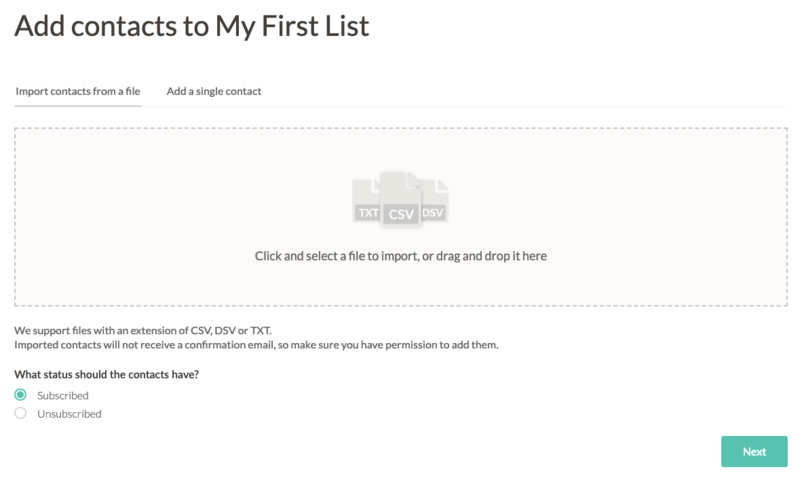 Select 'Import contacts' from the drop-down to the right of your list after clicking on Add Contacts. You will come across a screen where you will be able to add your file to be imported into EmailOctopus. Click on the blank white space or drag your import file into it. Please ensure that your file is in csv format. 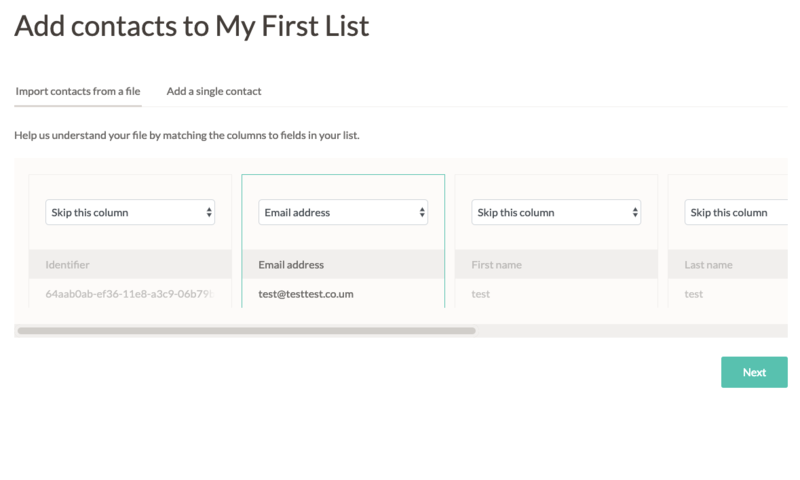 You have the option to select whether the list of contacts you are importing should be marked as subscribed or as unsubscribed to the list. Your EmailOctopus account can store the email addresses along with custom data about a contact. If you need to store information such as Address, you will need to create these fields before starting the import. Once done, correctly assign the right selection to each column in order for your information to import correctly. Any columns that are not relevant can be tagged with ‘Ignore’ so that they do not interfere with the import. When an import is complete, this will now show up on the import history section of the list. Hovering your cursor over the ‘i’ next to the status tag will give you information on the division of successfully imported contacts and contacts that have had issues with their import. You will also receive an email notification informing you when your import process is complete.